An antique line engraving by Wm. Woolnoth after F. Mackenzie. Circa 1840 with later hand colouring. 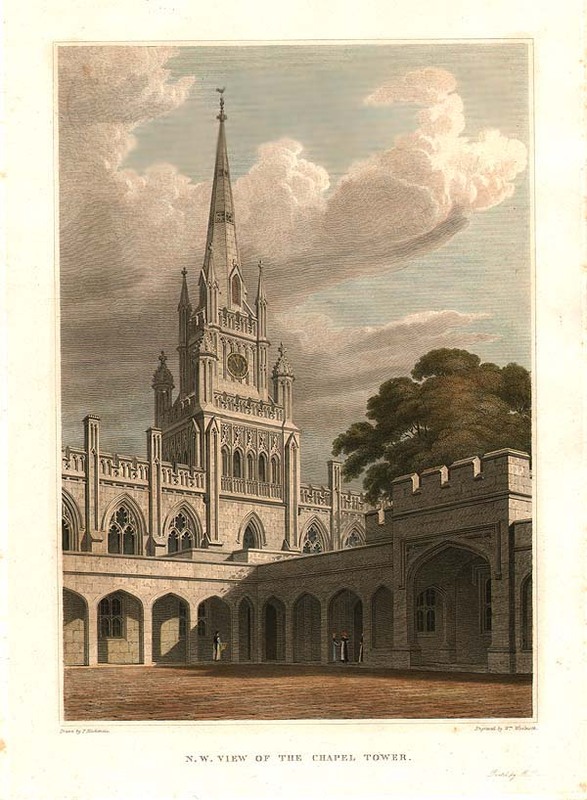 The College of Bonhommes at Ashridge, was founded in 1283 by Edmund, Earl of Cornwall. Approx Approx 21cms by 30cms.